Thanks so much to Rich for fishing with us! 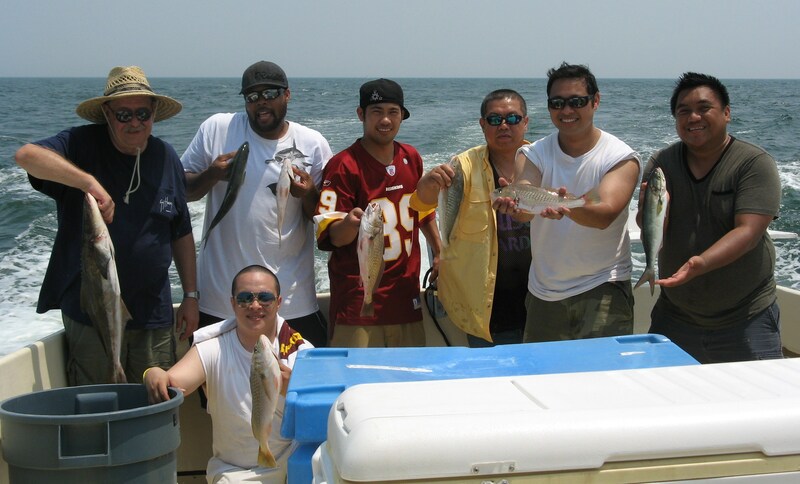 He brought along a good group of men and we did our best to give them a great day of fishing. When things slowed down, we headed to Tangier for a delicious lunch at Lorraine’s. Then we found the fish (which are in the box!) and headed in with a good catch. 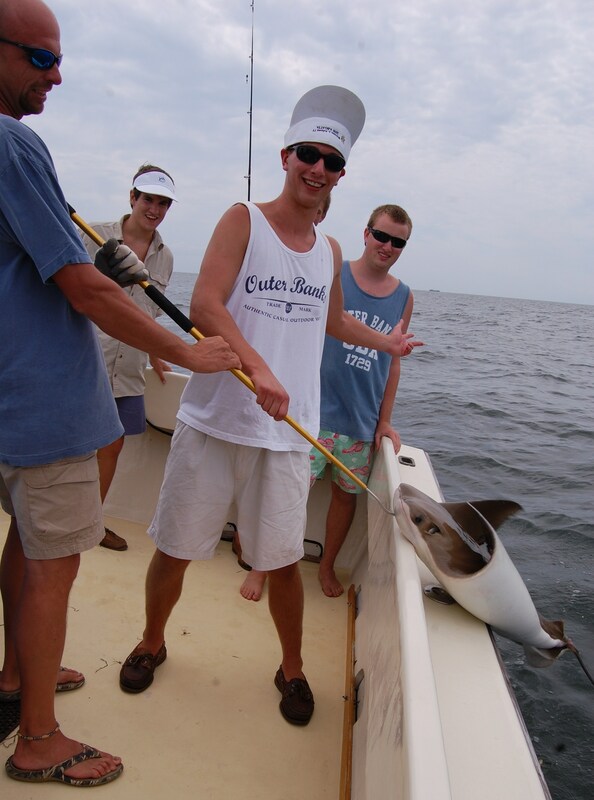 Appreciate your business Rich…look forward to fishing with you next time! 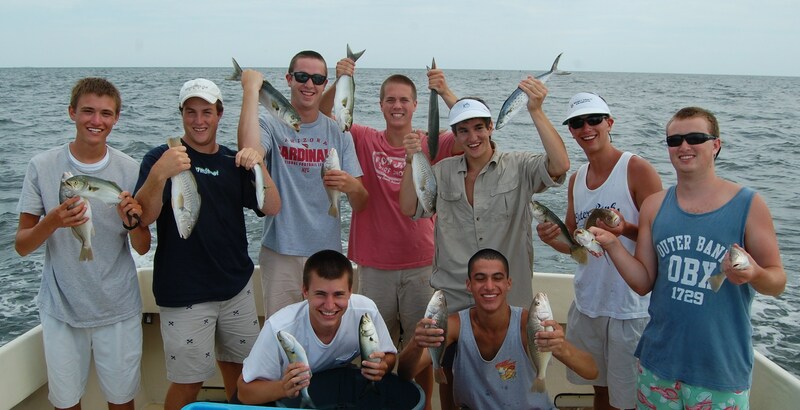 We were glad Charlie and his buddies decided to celebrate his 18th birthday aboard KIT II! 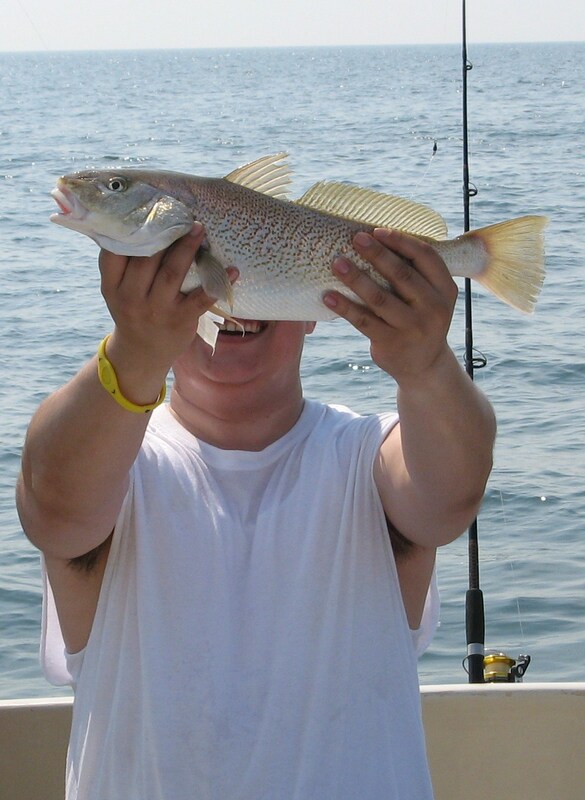 It had been 18 years since I had last seen his grandparents and his parents – Fern said was probably pregnant with him on their last fishing trip! While fishing was slow early on, the tide changed and it picked up, leaving us with a decent catch of fish. Watch the video clip to see why some of the fellas swore their luck changed! Being around these respectful young men was certainly encouraging! Appreciate your business…please don’t wait another 18 years Fern! 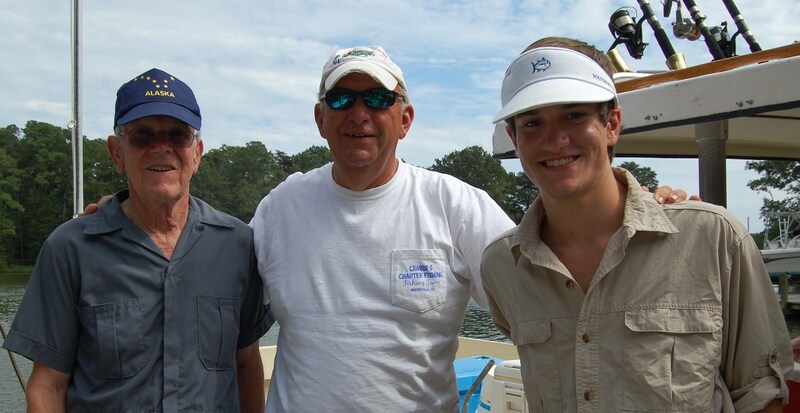 Always good to have Collins fish with us and today we enjoyed having his family and friends aboard. 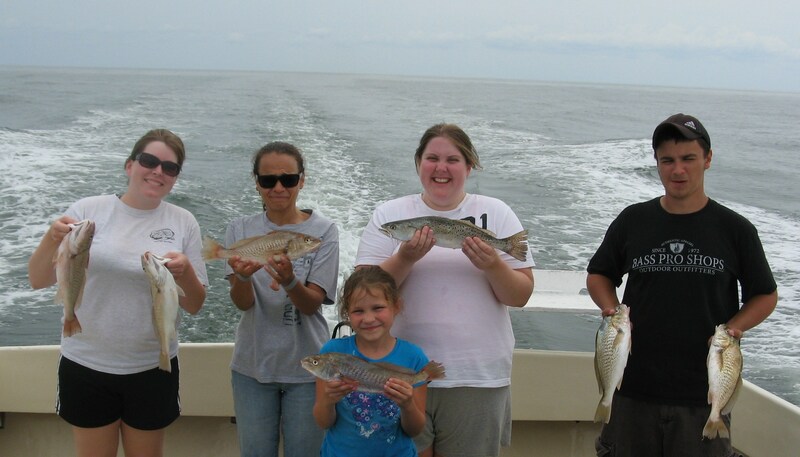 We had a great day with a very good catch of croakers and blues and a nice speckled trout. 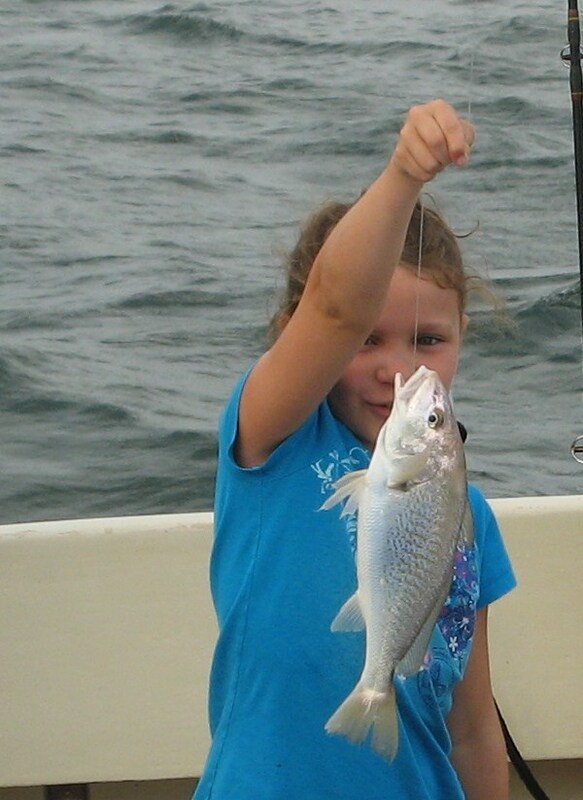 Our youngest lady, a rising fourth grader, was one of our best anglers, catching 8 to 10 fish! We look forward to having all of you return. Thanks Collins…we appreciate your business!